*NEW - *Fiji Airways - LAX/SFO to Fiji, Australia, or New Zealand (with free stopover in Fiji) for $749 RT. Or, from Honolulu starting at $649 RT. 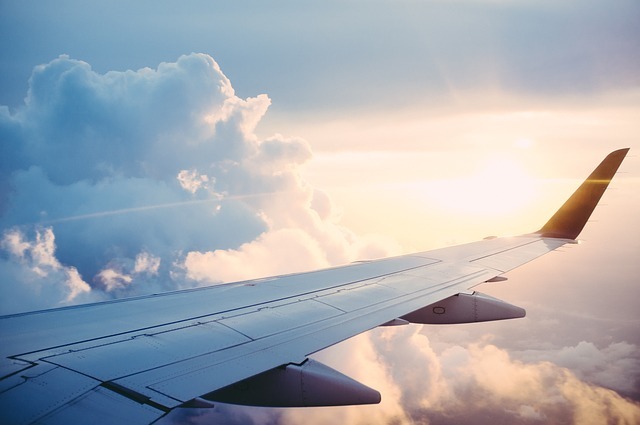 *Aer Lingus - For Black “Fly”Day, take $50 off round-trip flights to Europe from New York, Boston, Chicago, and Washington D.C. Or, Los Angeles, San Francisco, and Seattle get $100 off. Book by 6:59 pm ET on 11/28. *Air Canada - Sample deals include one-way flights from New York to Barcelona starting at $290, or New York to Hong Kong for $310+ one way. Book by 11:59 pm ET on 11/25. *Air Europa - Take 30% off long haul flights to Europe with code BLACKFRIDAYUSA. Book by 11/26 for travel through 6/14 except holiday and easter blackout dates (12/14-1/7, 4/12-4/22). Valid U.S. departure cities include Boston, Chicago, Denver, Detroit, Las Vegas, Los Angeles, Miami, New York (JFK), Orlando, Phoenix, San Diego, San Francisco, Seattle, Washington DC (DCA). TRT tip -- search in Google Flights for cheapest deals, then enter dates on site and use promo code at booking. Note that we found a $576 fare for NYC to Paris, but base fare was only $90 with remaining a fare surcharge, so the 30% off was only $27. *Air New Zealand - Stay tuned. Deals will be revealed 12:01 AM ET on 11/26. *Alaska - January deals on now through Sun, 11/25. Sample fares include SF to Kansas City or Raleigh-Durham, 5 western cities to Steamboat Springs, or San Diego and San Jose to Hawaii. Travel on Tues, Weds, or Sat 1/8-30. Note that Alaska has officially rolled out their “Saver” fare -- aka basic economy. *Cathay Pacific - Sale starts now with 60% off economy flights to Asia -- starting at $593 RT -- or, take $500 off premium economy and $1000 off business class flights. Deals include Boston, Chicago, New York, and Los Angeles to Hong Kong. Book by 11/27 for travel 1/1-5/19. Use promo code HOLIDAY. *Delta - Summer flights to Europe starting at $659 RT or 36,000 miles. Definitely not error deal fares, but very solid sale for summer travel (5/23-9/3), especially if you already know your summer 2019 travel dates and destination. Sale fares also available to Australia starting at 70,000 miles for travel 4/1-6/28. Book by 11/25. *Emirates - Fly from NYC to Milan ($449 RT), Dubai ($799 RT) or Dhaka, Bangladesh or Hyderabad, India ($859). Book by 11/24 for travel 1/12-5/9. *Norwegian Air - 15% off long-haul flights to more than 60 destinations in Europe, Asia, and the Caribbean for economy and premium flights. Sale starts Friday, 11/23 at 12:01 am ET and ends on Monday, 11/26 at 11:59 pm ET. *Ryanair - One-way tickets within Europe for under $6, including London to Barcelona, Edinburgh to Berlin, and Manchester to Brussels. Book by 11/26. *Southwest - Nationwide sale starting at $49 one way or international at $71 one way. Book by 11/22 (Thanksgiving!) for early Black Friday. Or, take $125 off domestic vacation packages and $250 off international trips. These discounts available through 12/3. *WestJet - One-way tickets from Toronto to Miami or Vancouver to Los Angeles for under $200. Book by 11/23. *WOW Airlines - Purple Friday deal will get you $69 one way to Iceland or $99 one way to European cities including Amsterdam, Brussels, Dublin, and London Gatwick. Available now through midnight 11/25 for travel through April. Cyber Monday, WOW Air will offer 40% off all flights to all destinations with promo code WOWCYBERMONDAY. Code valid 11/26-28.